A few weeks ago we posted a spotlight for Klei Entertainment’s upcoming game: Don’t Starve. A survival game taking place in a nightmarish setting pulled together with Tim Burtonesque visuals. Since then I spoke with Klei Entertainment and sent them some questions about the overall design and future of Don’t Starve. 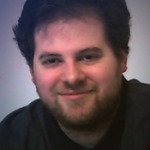 The following is an email interview with Don’t Starve’s lead programmer: Kevin Forbes. We focused on the game design behind Don’t Starve and outside of what has been discussed on Klei’s forums, there are no in game spoilers mentioned in this interview. 1. Could you talk about the inspiration behind Don’t Starve’s design? While open ended games have become popular thanks to Minecraft, we haven’t however seen many that focus on surviving either in realistic or fantasy settings. The initial template for Don’t Starve came out of a 24-hour game jam that we did a couple of years ago while working on Shank 2. Two of us made a really simple castaway simulator with a day/night cycle and an ever-increasing horde of hungry, leering pig-men who were afraid of your fire. I think that the original inspiration for that jam was a combination of the first few minutes of Minecraft, and the DS game Lost in Blue. When we picked up the concept again after Shank 2 shipped, it morphed away from the more grounded castaway theme and toward the more fantastical setting that you see today. The art direction borrows a lot from Gorey and Burton, obviously, but there are also elements of early 20th century advertising and German Expressionism. 2. Looking at the road-map posts on the forum (Here is the original post and the post holiday update) in terms of discussing the design, the game is split between the early, mid and end game. Can you elaborate on these three phases and how they are different from each other and what it means in terms of design and balancing? I view the early game as the player’s initial learning phase. During this time they are learning how the game’s basic systems work, and beginning to explore the fiction. They tend to die a lot during this phase, but they are (hopefully) inspired to try again because they are learning something new every time. Once the player understands enough so that moment-to-moment survival is no longer a problem, they progress to the mid-game. In the mid-game, the player usually sets up a base, and then ventures out into the world to find more exotic resources and to discover secrets. In this phase death is less frequent, but more painful because they have more to lose. We are currently implementing the endgame, where the player escapes and progresses though a series of more difficult worlds. 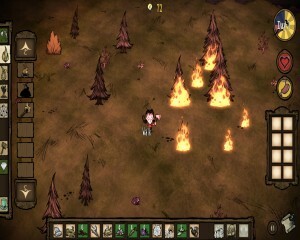 Figuring out how the world and its resources work is at the core of Don’t Starve’s gameplay. The design challenge for the mid game is to maintain enough engagement to overcome the player’s frustration at dying so much, while at the same time teaching them the game without resorting to explicit tutorials. The mid-game challenge is more content-based – we have to provide a rich enough set of systems such that exploring them is fun and intrinsically rewarding. The tricky part about balancing endgame is providing enough closure so that people are happy with their gameplay experience, but not enough that they stop playing altogether when the reach the end. We’ll see how successful we are at that in a couple of months. 3. In regards to the concept of having an end game phase, does the team envision Don’t Starve as a game that has a literal end, or something akin to an arcade game where the thrill is how long you can keep going under ever harder challenges? There will be an ‘end’ to the story mode, where you progress through enough worlds, and then we will give you the end of the game’s story. My hope is that players will still find the game interesting enough at that point that they will graduate to free-play mode, and play with the additional content that we will be releasing post-launch. 4. A common criticism from people playing the beta right now is the lack of both urgency and drive to work towards the higher research options. One reason is due to how easy it currently is for a player to become sufficient using the starting equipment. With what is planned to add both randomness and more danger to the world, how is the team going about balancing this to provide challenge, without punishing a player who gets a tough world on generation. The world generation that has been with the game up until the last update was largely placeholder, and we are devoting more development resources to it now that other areas of the game are more fleshed-out. Regarding overall difficulty, we are working on a couple of new systems that should interact with each other to provide more a challenge to established players. One of these systems is food spoilage, which was released in the last update. Sanity and winter are coming soon. 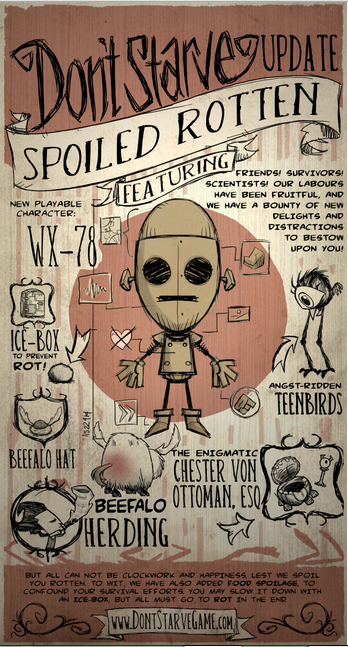 Each update to Don’t Starve, comes with a poster to help invoke the setting and theme of the game. 5. As a follow up to the previous question, how challenging was it in terms of redesigning the research/ progression system and if you can talk about it, what has the team settled on for how research will work later on in the beta/game launch? I’m actually supposed to be working on that feature today. There is a tension between the pure rogue-like design where you have permadeath and where all progress between playthroughs rides on player skill and knowledge, and the more mainstream account-based unlocks where your player actually gains new abilities across playthroughs. I tend to think that the former is more interesting, but I can see how players might find it frustrating, especially if they are more accustomed to modern console games. I’m trying to avoid adjustable difficulty (for community cohesion reasons), but I’m seriously considering providing a ‘research reset’ button for people who want more of a challenge. 6. 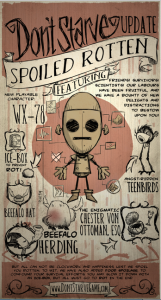 So far Don’t Starve has had a number of interesting and game changing updates added. Besides the winter and sanity additions mentioned in the road map, can you give fans any teasers about what else is in store? I’m trying to focus on the roadmap right now, and any ideas that aren’t a part of it are filed away so that we don’t get too distracted. We have some cool long-term plans for allowing players to interact with each other in an indirect way, but we haven’t worked out all of the details yet. 7. Once Don’t Starve is released (the current projection is late March,) where does the team envision the future of the game? Will the game be “complete” in terms of new features, or can fans expect to see new challenges down the line? We’ve committed to at least six months of continued support after launch, and this will include new features and content. I’m not sure what that will exactly entail, though – we’ll have to see what our players want when the time comes.